The Ariane 5 that will send Europe’s historic first mission to the planet Mercury is now complete, marking an important milestone as preparations move ahead for the planned October 19 liftoff from French Guiana. 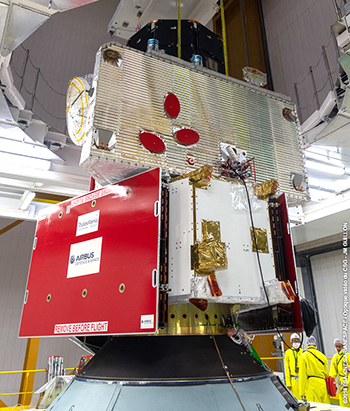 After being positioned atop Ariane 5’s core cryogenic stage, BepiColombo is ready to be encapsulated in the heavy-lift vehicle’s protective payload fairing. Performed in the Spaceport’s Final Assembly Building, Ariane 5’s build-up process concluded with the lowering of its ogive-shaped payload fairing over the multi-segment BepiColombo spacecraft – which had been positioned atop the launcher’s core section. The BepiColombo spacecraft – named after an Italian mathematician and engineer – was built under the industrial leadership of Airbus, which heads a consortium of 83 companies from 16 countries. Utilizing the Ariane 5 ECA version, this mission has a precise moment of liftoff: October 19 at 10:45:28 p.m. local time in French Guiana, from the Spaceport’s ELA-3 launch complex. 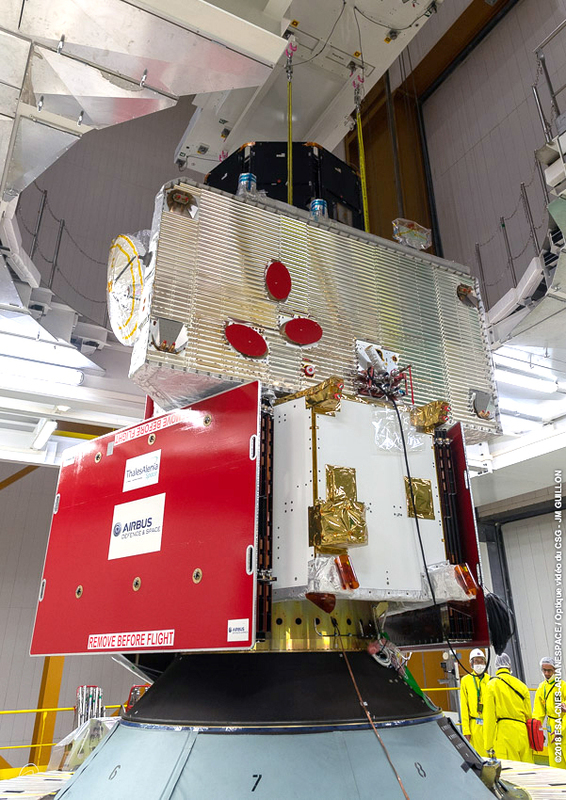 The heavy-lift workhorse will inject its BepiColombo payload into an Earth escape orbit during a mission lasting nearly 27 minutes from liftoff to final separation. Next week’s launch – designated Flight VA245 – will be the 23rd major scientific mission performed by an Arianespace family vehicle to date. It also underscores the company’s primary objective to guarantee Europe’s independent and reliable access to space.